The Northwest Wall and Ceiling Bureau last month honored its members with 2009 Outstanding Project of the Year Awards at the association’s annual meeting and convention in Banff, Alberta, Canada. 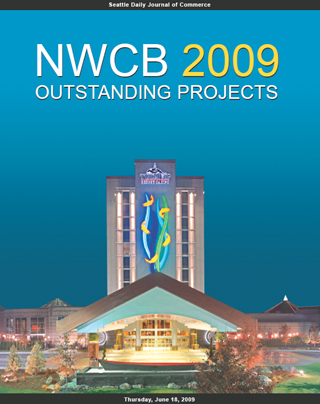 The Tulalip Hotel and Conference Center was one of 15 projects honored recently by the Northwest Wall and Ceiling Bureau. Thirteen projects won awards in commercial and residential categories for interior and exterior scopes of work, plus one award per country was given for a suspended ceiling project. The winners’ list includes three projects in Washington, three in Oregon, one in Idaho and eight in Canada. The projects were judged on design, job site innovation and/or conditions, quality of workmanship, use of materials and overall effect.